Wissam Ben Yedder is a French professional football player who plays as a striker for Spanish club Sevilla in La Liga. He has been given a nickname, Benyebut. It was a word but, which means goal in the French language. Ben Yedder started his amateurs career at UJA Alfortville. He played for Toulouse before signing for the Spanish club, Sevilla for a transfer fee of 9 million Euro in 2016. 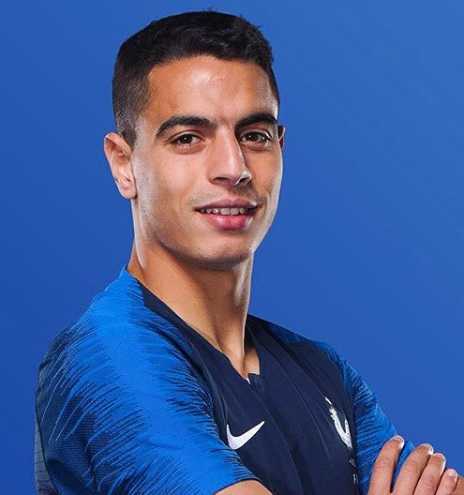 Ben Yedder made his international debut representing France U21 at futsal and made his senior debut for France National Team in March 2018. Wissam Ben Yedden and the team Sevilla FC are enjoying their triumph win over 13th times UEFA Champions League winner Real Madrid at Ramon Sanchez Pizjuan. Sevilla scored 3 goals within 39 minutes from the start against the poor defense of Real Madrid. Out of which, Andre Silva scored twice in 17th and 21st minute, whereas Wissam Ben Yedder scored in the 39th minute. Andre Silva is leading the La Liga top scorer chart with 7 goals, and Ben Yedder following with 4 goals on his account. Wissam Ben Yedder was born on 12 August 1990 in Sarcelles, France. He is of Tunisian descent. One of the football star of English Premier League, Riyad Mahrez playing for Manchester City was a childhood friend with Ben Yedder. Ben Yedder began his career at local UJA Alfortville in the fourth-tier Championnat de France Amateur. Toulouse: Ben Yedder joined Toulouse FC to play League 1 in 2010. Ben Yedder made his professional debut against Paris Saint-Germain on 16 October 2010. He came on in as a substitute for Yannis Tafer in the 61st minute. Toulouse lost 0-2. In his first two seasons, Ben Yedder made 13 substitute appearances. Ben Yedder's first goal for Toulouse came only on 21 April 2012 against Evian. He came on in as a substitute replacing Paulo Machado and managed to score his first and an equalizer goal in a 2-1 loss. Ben Yedder scored a hat-trick against Sochaux on 30 November 2013. Toulouse won 5-1. He scored another hat-trick for Toulouse in a 3-1 win against Valenciennes on 17 May 2014. Ben Yedder surpassed Andre-Pierre Gignac as their highest scorer in the league in the 21st history scoring 35 Ligue 1 goals for Toulouse against Caen on 20 September 2014. He achieved the milestone of 50 goals in the competition on 19 December 2015, where he scored in a 1-1 draw against Lille. Spanish club Sevilla signed a five-year contract with Ben Yedder on 30 July 2016 for a reported transfer fee of 9 million Euro. He made his Sevilla debut against Barcelona in the first leg of the Super Copa de Espana on 14 August 2016. He came on in as a substitute replacing Luciano Vietto in the 61st minute. Sevilla lost 0-2. Ben Yedder made his La Liga debut against RCD Espanyol at the Ramon Sanchez Pizjuan Stadium on 20 August. He also scored his debut goal in the same match in a 6-4 win. Ben Yedder became the top scorer at 2016 Copa del Rey alongside Lionel Messi. He scored a hat-trick in a 4-0 win against Real Sociedad in La Liga. Ben Yedder scored his first UEFA Champions League hat-trick in a group stage match against Slovenia's NK Maribor on 26 September 2017. Ben Yedder came on in as a substitute in the 72nd minute and scored two goals within 4 minutes during the second leg of the 2017-18 UEFA Champions League round of 16. Sevilla defeated Manchester United and reached the quarter-finals of the UEFA Champions League for the first time since 1958. Ben Yedder scored five goals in the space of three days in September 2018, two in a 5-1 Europa League win against Standard Liege and a hat-trick in a 6-2 victory away to Levante UD. Ben Yedder played two futsal matches for France and scored in one. He also represented France nine times a tU21 level. 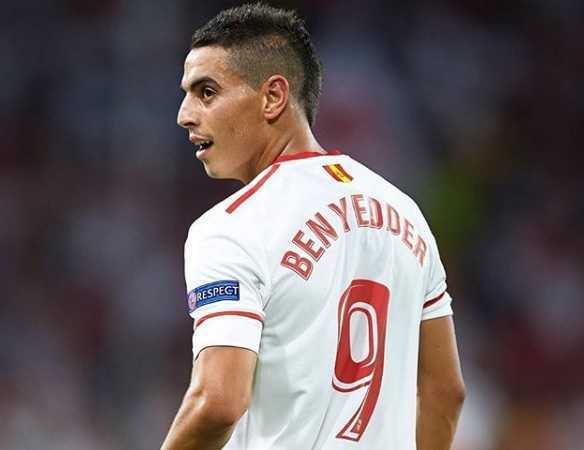 His parents were of Tunisian descent, the Tunisian Football Federation made five attempts to get Ben Yedder to represent the Tunisian national team. He turned down the offer to play for Tunisia. Following his goalscoring streak at Sevilla, French national team manager Didier Deschamps included Ben Yedder in the squad for two friendly matches against Colombia and Russia in March 2018. He made his debut for the senior team against Colombia at Stade de France on 23 March. He came on in as a substitute replacing Oliver Giroud in the 73rd minute, while France lost 3-2 to Colombia. Ben Yedder was also listed as a standby list on the 23-man French squad for the 2018 World Cup. France went on winning the FIFA World Cup 2018 defeating Croatia 4-2 in the Final. The 28-year old Wissam Ben Yedder stands a height of 5 feet 7 inches tall. He weighs around 68 kg. The information about his personal life is still unknown to the public. No information regarding his marital status or his relationships has come to the light. He might possibly be unmarried and single. Wissam Ben Yedder has a weekly wage of estimated 26,000 Euro and an annual salary of 1.3 million Euro at Sevilla FC. At present, the net worth of Ben Yedder is estimated at $3 million. He was the highest paid player of Toulouse Football Club during 2015 season. He was transferred to Sevilla from Toulouse in July 2016 for a transfer fee of 9 million Euro. Ben Yedder is nicknamed Benyebut, 'but' means goal in French. He totaled 71 goals in 174 games for them, surpassing André-Pierre Gignac as their greatest league scorer of the 21st century. Ben Yedder came on in as a substitute in the 72nd minute and scored two goals in 4 minutes against Manchester United to secure a place in quarter-finals at 2017-18 UEFA Champions League.